Research in the area of educational technology has claimed that Web technology has driven online pedagogy such that teachers need to know how to use Web technology to assist their teaching. This study provides a framework for understanding teachers’ Technological Pedagogical Content Knowledge-Web (TPCK-W), while integrating Web technology into their pedagogical practice. Furthermore, contemporary educational researchers have highlighted the significance of teachers’ self-efficacy, conceptualized as the teachers’ perceptions of their own competence at teaching, and related to instructional strategies as well as teaching effectiveness. The major purpose of this study was to investigate teachers’ perceived self-efficacy in terms of their TPCK-W. This study aimed to develop a new questionnaire, namely the Technological Pedagogical Content Knowledge-Web (TPCK-W) Survey to explore teachers’ self-efficacy in terms of their TPCK-W, and additionally to assess their attitudes toward Web-based instruction. The participants in this study were 558 teachers from elementary school to high school level in Taiwan. Both exploratory and confirmatory factor analyses indicated that the TPCK-W survey developed in this study has satisfactory validity and reliability characteristics. The results indicate a lack of general knowledge about Web-related pedagogy amongst the teachers surveyed. The correlations between teachers’ self-efficacy in terms of their TPCK-W, their attitudes regarding Web-based instruction, and their background variables were also examined. Correlations were found between self-efficacy and positive attitudes to web-based instruction. 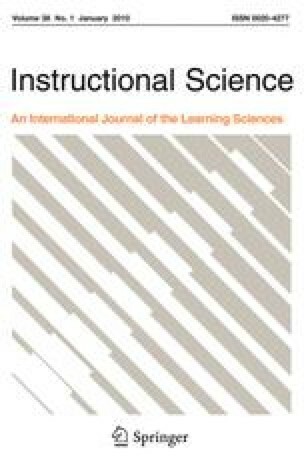 Older and more experienced teachers were found to have lower levels of self-efficacy with respect to TPCK-W, though teachers with more experience of using the web (including for instruction) had higher levels of self-efficacy with respect to TPCK-W. The funding of this research project is supported by National Science Council, Taiwan, under grant numbers NSC 96-2511-S-011-002-MY3, NSC 97-2511-S-011-003-MY3 and NSC 97-2631-S-011-001. Be able to click the hyperlink to connect to another Website. Be able to key in the Website address to connect to a particular Website. Be able to print out the content of a Website. Be able to search for information on the Web using keywords. Be able to download pictures from the Web. Be able to use the Web search engines. Be able to copy text on the Web into the “Word”. Be able to read others’ messages in a chatroom. Be able to set a nickname by yourself in an online chatroom. Be able to talk to others one on one in an online chatroom. Be able to provide information or respond to someone else on a BBS (Bulletin Board System). Know that Web technology can provide various materials to enrich course content. Know how to search online resources for course content. Know how to select proper content from Web resources. Be able to search related online materials for course content. Be able to search for various materials on the Web to be integrated into course content. Know how to apply teaching modules on the Web into courses. Be able to use Web technology to enhance teaching. Be able to use the Web to enhance students’ learning motivation. Be able to select proper existing Web-based courses to assist teaching. Be able to apply Web technology to use multiple teaching strategies on a particular course unit. Be able to guide students to use Web resources to study a certain course unit. Be able to use Web resources to guide students’ learning activities for a certain course unit. Be able to use Web technology to support teaching for the content of a particular course unit. Web technology can be actually used in the practice of teaching. The characteristics of the Web can help instruction. Web technology can enhance teaching skills. Web-related resources can enrich course content. Web-based teaching can enhance students’ learning motivation. Web-based teaching is a future trend in education. National Council for Accreditation of Teacher Education. (1997). Technology and new professional teacher: Preparing for the 21st century classroom. Washington, DC: National Council for Accreditation of Teacher Education. Retrieved April 17, 2007, from http://www.ncate.org/public/technology21.asp?ch=113. National Science Teachers Association. (1998). Standards for science teacher preparation. Arlington, VA: National Science Teachers Association. Retrieved April 17, 2007, from http://www.nsta.org/main/pdfs/nsta98standards.pdf.